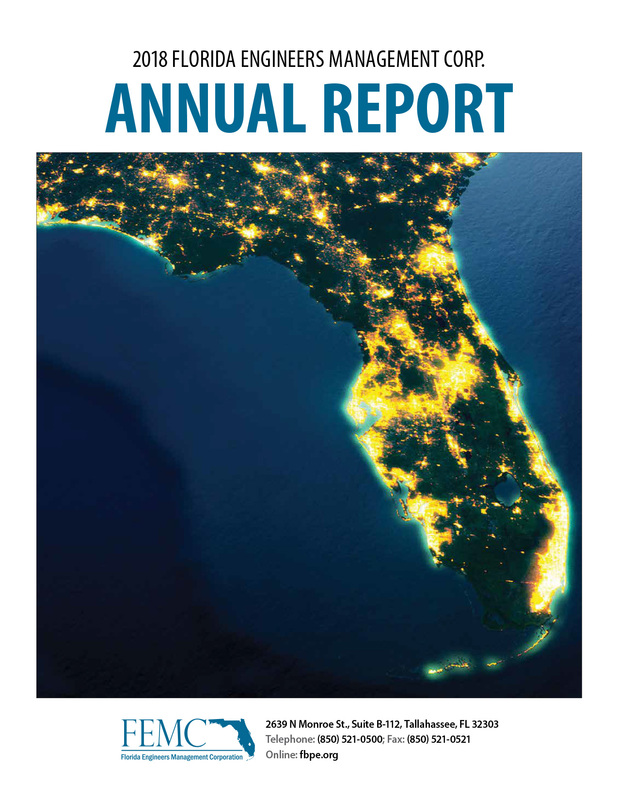 Section 471.038(3)(1), F.S., requires the Corporation to submit to the Secretary of DBPR, FBPE, and the Florida Legislature, on or before Oct. 1 of each year, a report on the status of the Corporation, including, but not limited to, information concerning the programs and funds that have been transferred to the Corporation. That same section also requires certain specific information regarding licenses and complaints handled by the Corporation. To view all of the services performed by FEMC for the most recent fiscal period or the past two periods, select one of the images to open and download. 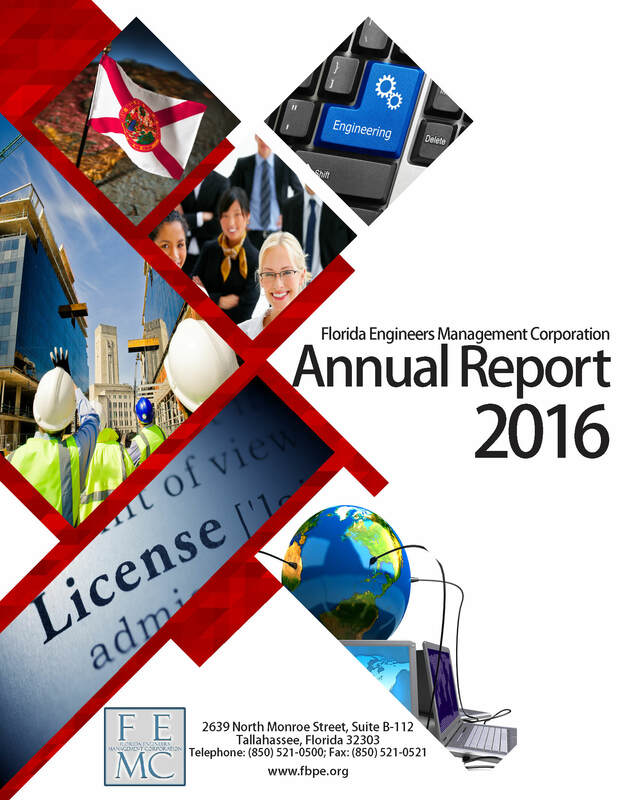 The Archive section below includes annual reports going back to Fiscal Year 2012-2013. 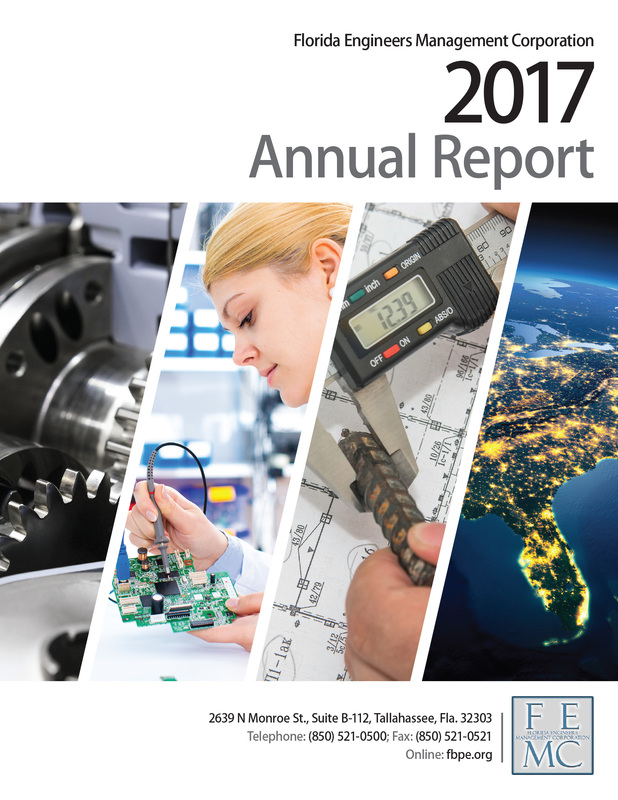 If you are interested in obtaining a copy of an annual report not available here, submit a public records request to publicrecords@fbpe.org. Please include your name, contact information, and which report(s) you would like to receive identified by year. Note that depending on the amount of information provided and method/medium requested, a fee may be charged. Should you have any questions related to this report or others found on our site, please send your inquiries or comments to board@fbpe.org or call the FBPE office at (850) 521-0500.